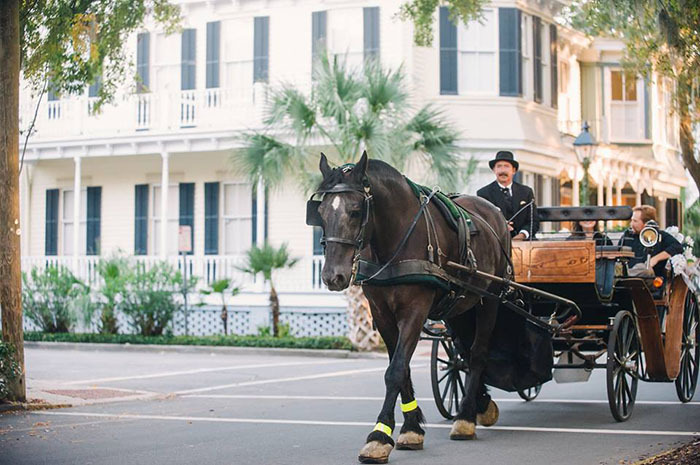 Photo courtesy of Historic Savannah Carriage Tours. Cozy up with your darling and see the dashing side of Savannah in the most romantic way—in a horse-drawn carriage. Travel through the moss-draped squares and learn all about Georgia’s First City with Historic Savannah Carriage Tours’ 45-minute excursions through the city. With six different carriages, their tours will be leaving just about every 30 minutes from 3-8 p.m. on Christmas Day. Reservations are strongly suggested. Photo courtesy of Old Town Trolley. 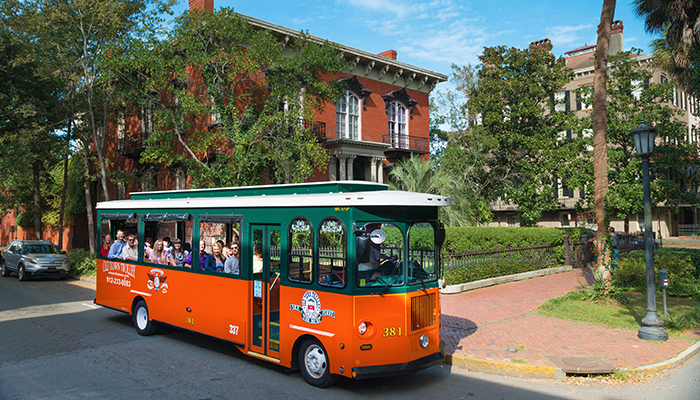 Bring your whole family out for a jolly good time with Old Town Trolley in Downtown Savannah. They will be open on Christmas Day in Savannah from 9 a.m.-5 p.m. with the Old Town Trolley Tour departing every 15 to 20 minutes. The last trolley boards at 5 p.m. so don’t be late! If you’re interested in something a little different, get out on their Ghosts & Gravestones Tour or Holiday Sights Tour which will both be open on Christmas Eve but not Christmas Day. Reservations not required for the Old Town Trolley Tour. 5:45 p.m., 7:15 p.m., 9 p.m., 10:45 p.m.
Savannah’s spirits don’t rest, even during the holidays. Just ask the Ebenezer Scrooge! 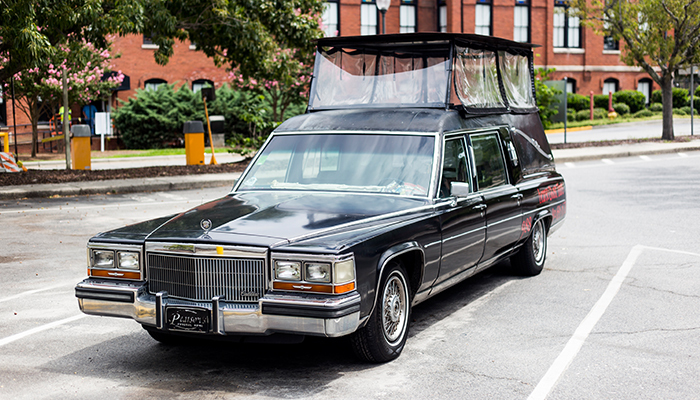 On the joyous day of December 25th, step aboard an actual hearse, which has been customized and tailored to give guests the best haunted tour of Savannah. Instead of surprising someone you love with a serene stroll, go on an exciting ride through the Historic District and learn about the ghosts. While the Ghost of Christmas Past may not make an appearance, several others might! Reservations are required. Photo courtesy of Noble Jones Tours. On December 25th, Noble Jones Tours invites guests to join them at 10 a.m. and 1 p.m. for their Savannah Saunter Tour. This unwrappable gift is one you can cherish on Christmas Day, exploring the enthralling culture and history of Hostess City of the South. Reservations are required and the tour departs at the John Wesley Monument in Reynolds Square. 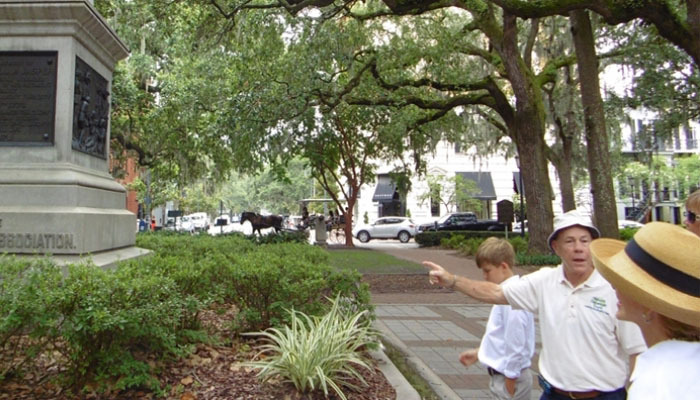 Photo courtesy of Historic Savannah By Foot. Afternoon tours, call for details. 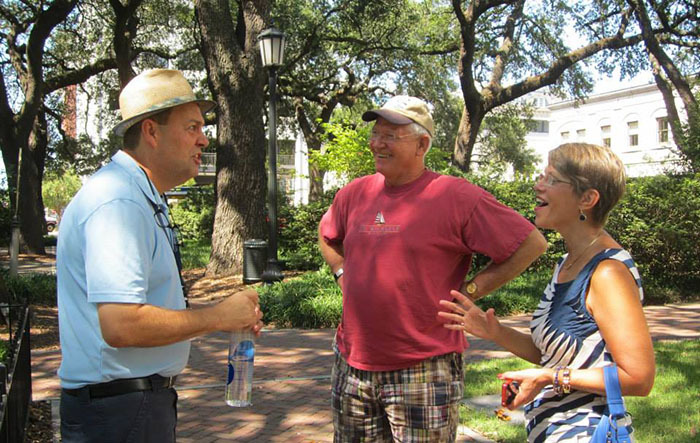 While some may take to the streets with carols on Christmas Day, Jack Ray of Historic Savannah By Foot will get out with the many tales Savannah has to tell. Stroll the serene streets and see all the sights with Ray, who will be offering afternoon tours of Savannah on Christmas Day. The tours are approximately two hours long and cover everything from the architecture to the legacy left behind by American patriots. Reservations are highly recommended. Photo courtesy of Cool Savannah Tours & Gifts. 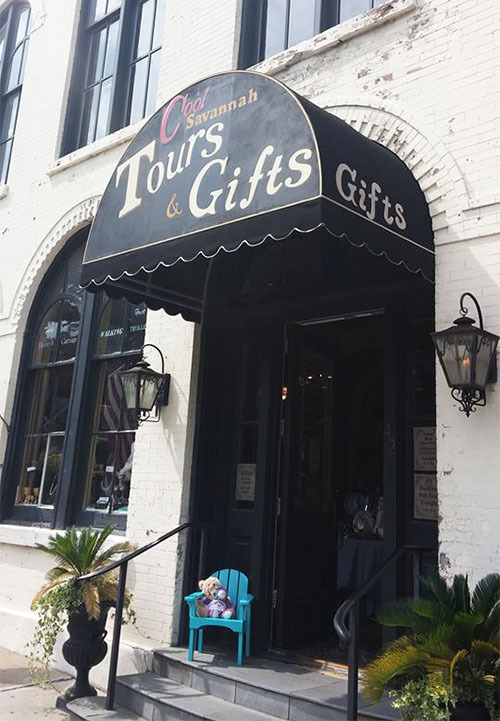 While Cool Savannah Tours & Gifts may not be sending out their own walking tours on December’s most popular day, they will be open and selling tickets for the other tours in town. At this quaint shop on Factor’s Walk, guests will find an array of souvenirs, estate jewelry, antiques, art and historical gifts. 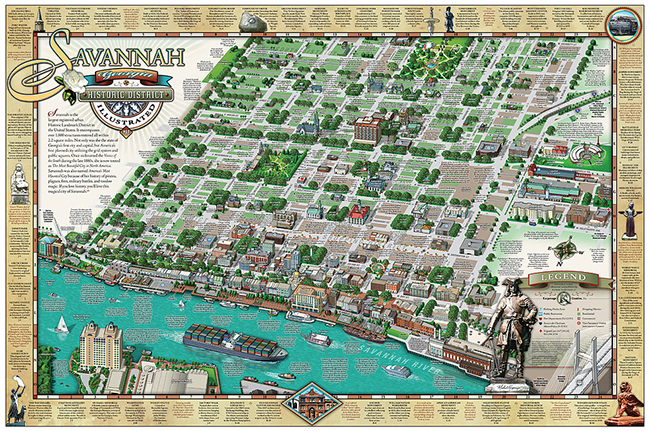 Whether it’s a Savannah coffee cup, photography of Georgia’s First City or tickets to the next trolley tour, Cool Savannah Tours & Gifts will serve you well, from 12:30-6 p.m.
To discover Savannah’s Historic District on your own, purchase our Savannah Map below for $5.50.